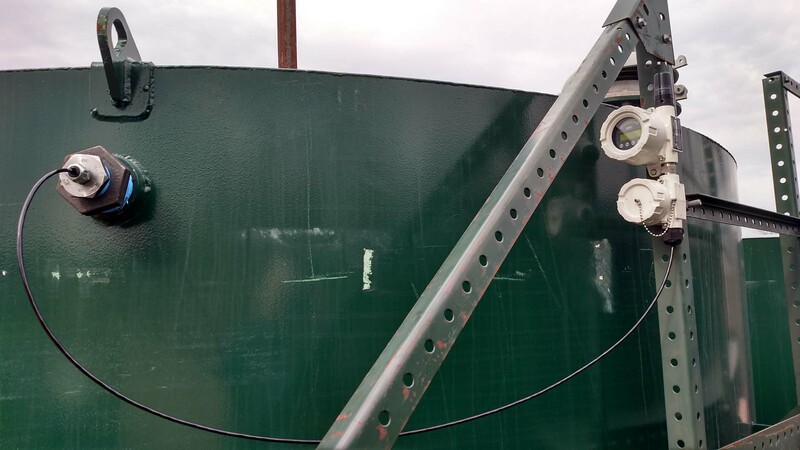 The OleumTech® “LL4” and “LL5” Hydrostatic Level Transmitters measure level by monitoring pressure at the bottom point of vented top mount tanks, deep wells, water towers, rivers, and lakes. These transmitters are equipped with one 0-5 Vdc analog input and provide high resolution 24-bit analog to digital conversion (ADC). The transmitters can supply up to 9.5 Vdc to the connected sensor. LL4 direct mount version includes a specified length hydrostatic pressure sensor and direct mounting solution while the LL5 allows users to select their own sensor and mounting method. The LL5 also provides one discrete dry contact input for connecting to a high level switch. These ultra-low-powered transmitters are powered by a replaceable battery pack that provides up to a 10-year life. The push button LCD interface allows for device configuration and instant access to process data.